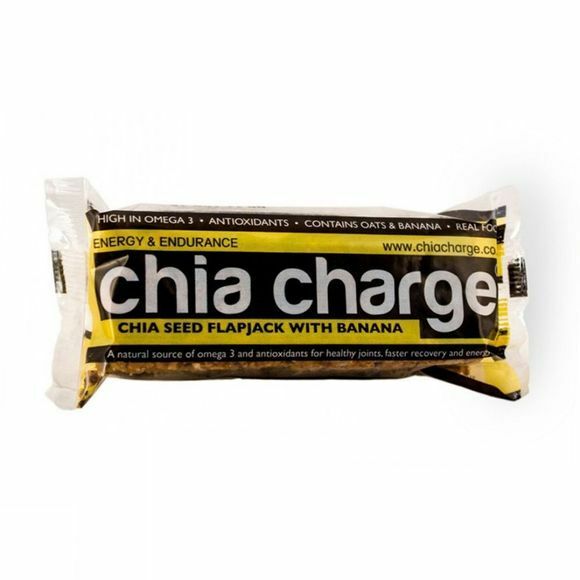 The Chia Charge Flapjack is a great way to ensure appropriate nutrition when pushing your limits. Packed with natural ingredients to provide you with excellent tasting food that is quick to eat and easy to digest. Eat 30-90 minutes before exercise for optimum effect. Oats, butter, golden syrup, sun dried bananas, brown sugar, chia seeds (9%), sea salt flakes, rice flour.